When you think about a Jeep vehicle, what comes to mind? For some, it’s freedom – the freedom to explore the road less traveled and the dirt trail off the beaten path. For others, it’s reliability – the reliability that is provided by its stunningly durable design and its’ cutting-edge features. The Ram 1500 is one of our most popular models currently, thanks to its impressive performance capabilities and its luxurious interior design. Enhanced and augmented to fit in on modern roads, this truck is delivering an entirely new kind of driving experience that drivers adore. If you are like many of the other families who visit our dealership, you are likely in need of a cutting-edge vehicle that complements your space, technology, and efficiency needs on the road. That is where the Chrysler Pacifica comes in: not only has this minivan redefined what a minivan is supposed to look like, it also brings a new level of advanced versatility to your driving experience! Thousands of car buyers have made the switch to midsize SUVs because of their increased cargo size in tandem with improved fuel efficiency standards. 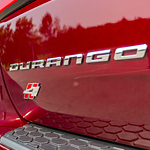 That is why we here at Larry H. Miller Chrysler Jeep Dodge Ram Boise are so excited to tell you all about the many fuel efficiency standards of the all-new 2018 Dodge Durango. There are many places where one expects to find high technology. These places include NASA, many other space agencies, militaries of first world nations, aviation manufacturers and the Chrysler 300. The last location may seem a bit odd, but it is true. The Chrysler 300 could have been mentioned in Weird Al's geek anthem "White and Nerdy." 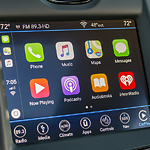 What makes the Chrysler 300 so appealing to tech nerds? It is the number of processors used. Several different computers control the car's entertainment options. 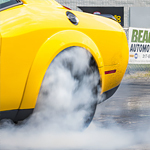 We at Larry H. Miller Chrysler Jeep Dodge Ram Boise know how much performance means to you. Therefore, we choose our vehicles for the performance they promise you. One of the high performing vehicles in our lot is the 2018 Dodge Challenger. The features of this vehicle make it very powerful and efficient in the fuel it uses. Minivans are the preferred mode of transportation for many families in Boise. No matter if you need to drop off the kids at soccer practice or drive the crew to the beach for some watersports fun, this popular family minivan will fulfill that need. Get up to 84 miles to the gallon and save the environment with the Hybrid model. You feel safe and secured with the Chrysler Pacifica. 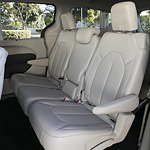 The Dodge Grand Caravan is a minivan that is big enough to transport the entire family to school or on family outings. This minivan has a solid reputation for reliability, and its track record for repairs is among the very best. The Dodge Grand Caravan is designed to perform with power. The Grand Caravan is equipped with a 3.6 liter Pentastar V6 engine. This engine produces up to 283 horsepower, but it still allows the Grand Caravan to make up to 25 miles per gallon in highway driving.